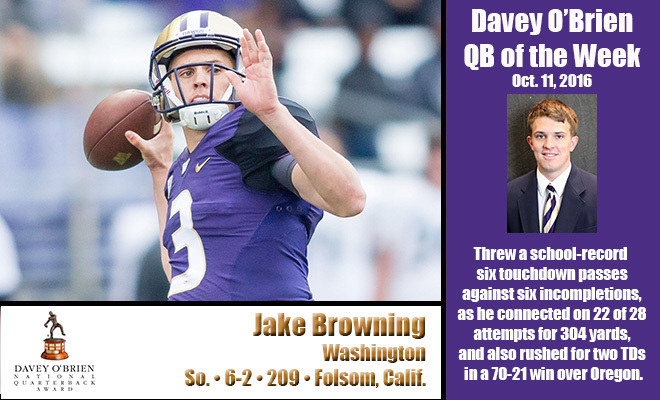 FORT WORTH, Texas (Oct. 11, 2016) – Washington sophomore Jake Browning has been named the Davey O’Brien Quarterback of the Week for the first time in his career following a school record-setting performance in a 70-21 rout of Oregon. 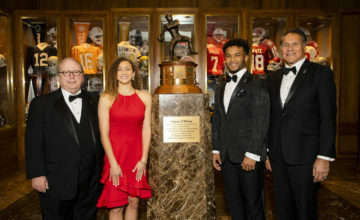 Browning broke the school’s single-game record with six touchdown passes, eclipsing the old standard of five, a mark he had equaled earlier this season. 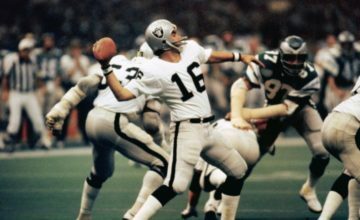 He also set a Husky record for touchdowns responsible for in a game (eight). Browning threw just six incompletions on the night, completing 22 of 28 attempts for 304 yards. In addition, the Folsom, Calif., product rushed for two scores, as he gained 21 yards on six carries to help the Huskies snap a 12-game losing streak to the Ducks. For his efforts, Browning also garnered Pac-12 Offensive Player of the Week honors. 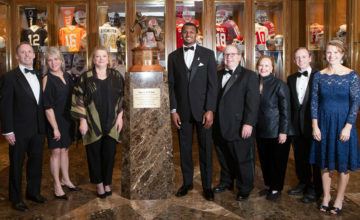 This marked the third time that Browning was a member of the Davey O’Brien Award’s “Great 8” list this season. Through six weeks, Browning leads the nation in passing touchdowns (23) and passing efficiency (204.9). Additionally, he is second nationally in total quarterback rating (89.7), third in points responsible for (156) and third in completion percentage (.722). All FBS quarterbacks are eligible for the weekly award, which is determined by a subset of the Davey O’Brien National Selection Committee. The other “Great 8” quarterbacks in week six were: USC’s Sam Darnold, Joshua Dobbs of Tennessee, Luke Falk of Washington State, Alabama’s Jalen Hurts, Texas A&M’s Trevor Knight, Baker Mayfield of Oklahoma and Will Worth of Navy.